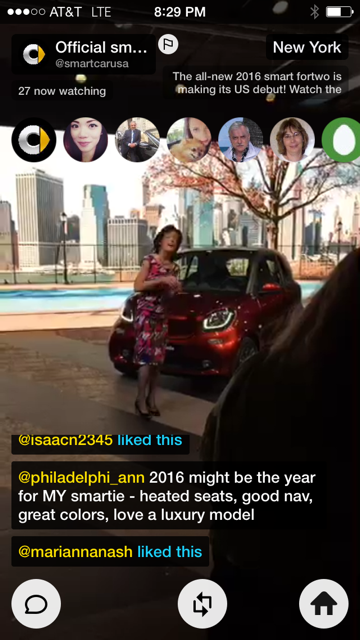 We used Meerkat to unveil the all-new fortwo at an exclusive event before the New York International Auto Show. It was a way to give diehard fans exclusive access to the model before its US debut. Fans got to ask CEO Dr. Annette Winkler questions about the new generation in real time.